Life in California can be hectic – but moving doesn’t have to be. 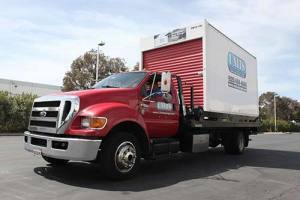 If you’re looking to relocate to a new home but need temporary portable storage while you get settled, UNITS of the East Bay is the solution for you. We’ll deliver a portable UNIT to your home or business, let you load up your items at whatever pace you need, and pick up the UNIT and either deliver it to your new home or keep it at our storage facility until you are ready for it. There’s no hassle, no hurry, and no clumsy moving trucks for you to drive. UNITS does the hard work for you. 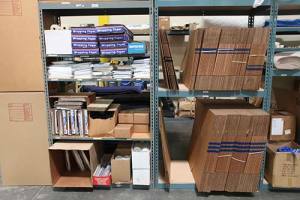 If you are in need of portable storage in Orinda, CA, then give UNITS a call today. We also utilize a channel strapping system and E-Track Straps so that you can safely secure your belongings within the UNIT. When you choose UNITS for your Orinda portable storage needs, you know your belongings are safe and well cared for. We let you provide the lock for your UNIT so that you know that only you have access to your valuables. No one else. We also offer a convenient box recycle program where you can trade in your gently used new boxes for 25% of their original value. Save some cash and help us be environmentally friendly! Doing a long-distance move? We can work that out, too. Call us today to discuss your long distance moving options and discover how UNITS can help you make a smooth transition.